Gift Certificates are the perfect gift solution when you want to keep it simple. The perfect gift solution when you want to keep it simple. Not sure which type of art piece your lucky gift recipient wants? Our gift certificates are the solution. Simply choose the amount you want and we’ll send you or your gift recipient a beautiful digital gift certificate instantly. The Perfect Gift for that someone special. We will instantly e-mail you the electronic gift certificate and you can either print it, or forward it to the recipient. Just enter any amount over $50, click "Add to Cart" and you’re done! Here’s what you’ll get in your email. As the original pioneer and creator of the DNA Portrait DNA 11 takes great pride in ensuring the authenticity and uniqueness of every single piece we produce. 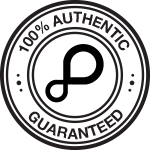 When you purchase from us you are not only supporting the original creators of DNA Art, you’re also ensuring that you will receive the highest quality service backed by ethical business owners and an unbeatable product guarantee.